As we were flying over the Barossa today, Damien popped the question and proposed to Tammie. Of course the answer was YES !!! We wish you all the best for your future together. Here’s the latest review left on Barossa Balloon Adventures TripAdvisor page. “Bring on our next FLIGHT! Thank you! 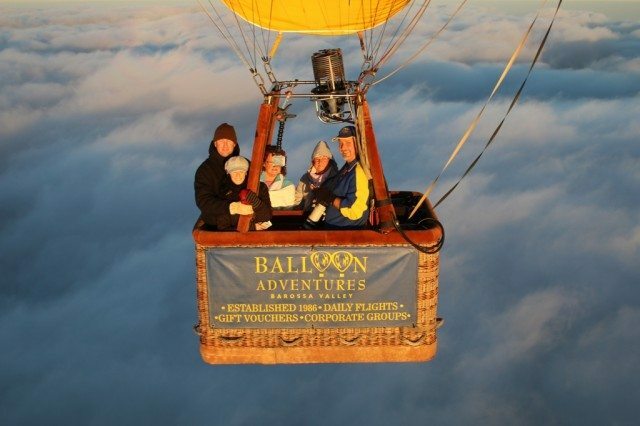 🙂” Reviewed 13 September 2014 NEW Josh and I had the MOST amazing time on Friday 12th Sept. Justin (Pilot) and John (Ground Control) made our first Hot Air Ballooning experience something that we will NEVER forget….